When Apple announced iOS 10, we took note. We pulled out our phones in fact, opened Notebook (duh), and gave our thumbs a workout. We made checklists of things we could do on iOS 10, and today we’re happy to announce that those checklists have been completed. 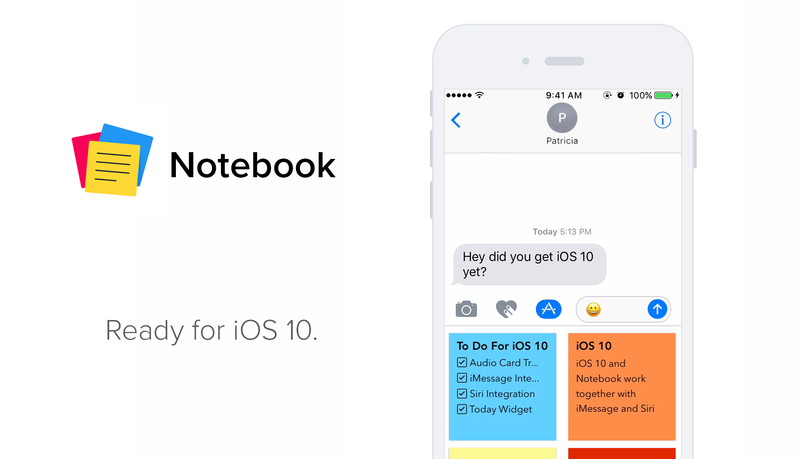 Notebook’s iOS 10 optimizations include text searchable Audio Cards, iMessage and Siri integration, Today Widget support, Scribble for WatchOS 3, and more. We’re so excited for iOS 10 we made a dedicated webpage even, which you can find here. Have you ever dreamed of having your own stenographer? Thanks to iOS 10’s audio to text conversion feature, all notes recorded with Notebook’s Audio Card will automatically have transcripts attached to them. This means audio recordings in Notebook are now text searchable, which is a first for iOS. Even better, you can find audio notes outside of Notebook with Spotlight Search. In rare cases where the audio to text conversion isn’t right, you have the option to edit the transcript and make changes to improve the search. Transcripts are also available for all audio notes that were recorded pre-iOS 10. To get a transcript, open an audio note and choose the Transcript icon. Your device will create the transcript. Please note: Currently transcripts will only be created for the first minute of your audio recording. With the release of iOS 10, iMessage has just gotten way more interesting. Apple is allowing third-party apps to integrate with its service, and Notebook is among the first apps to take advantage. 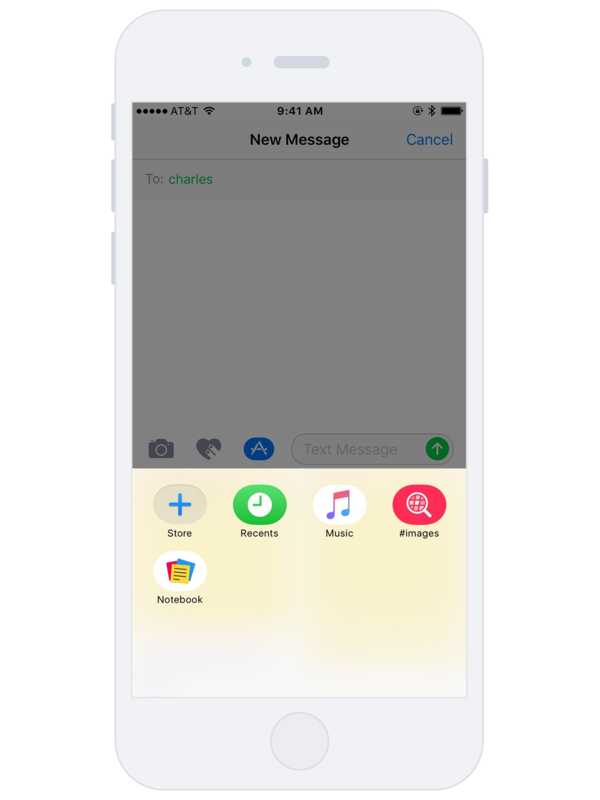 In iOS 10, you can now you share Text, Checklist, Audio and Photo Cards through iMessage. To do this, simply go to the iMessage App Store, toggle to Manage, and enable Notebook. Similar to iMessage, iOS 10 marks the first time Apple has allowed third-party apps to integrate with Siri. Now you can ask Siri to “Show photos added this week from Notebook.” As far as we know (which is a lot in this case) Notebook is the only app in the AppStore that has been able to make use of Siri. This was possible thanks to our Photo Card design. 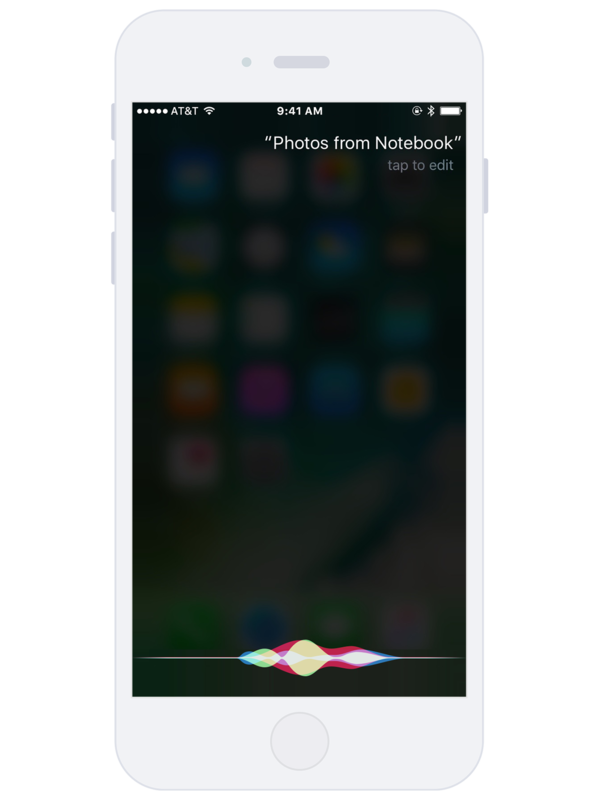 As Apple allows us and everyone else to do more with Siri, we will. We are always trying to figure out new ways for you to make use of, and take new notes. After all, a note-taking app should always be there when you need it. 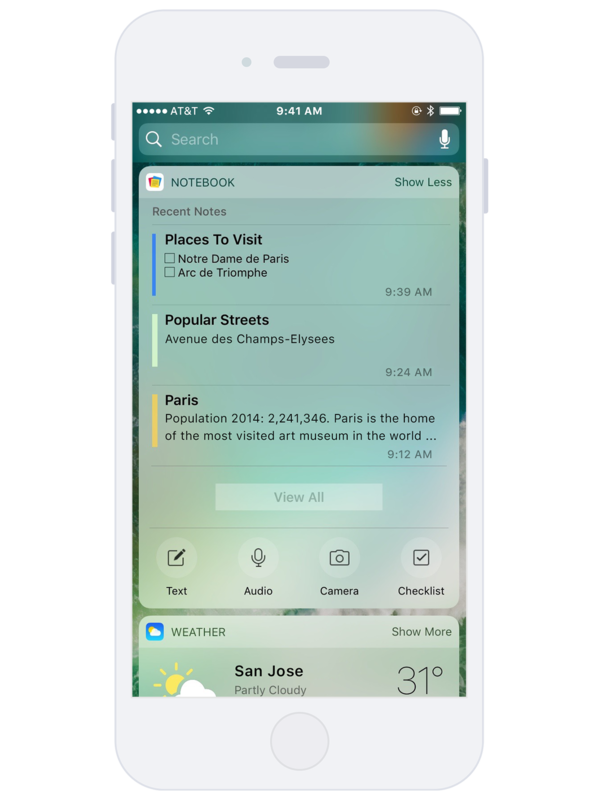 iOS 10’s Today Widget has allowed us one more way to keep Notebook nearby. From the Today Widget you can view recent notes, and create new ones. Thanks to WatchOS 3, you can now Scribble your notes using Apple Watch. While we doubt you’ll be taking long, detailed notes from your Watch, we think it’s a great way to get key information down fast. Plus you’ll look a bit like a super agent when you do it. Of course, this is on top of already being able to record audio notes from Watch. We haven’t set a date, but another update on the way. What will the update include? We’re not quite at liberty to say. But rest assured, we have everything sketched out, locked-in, and we’re looking to extend Notebook in several exciting ways.